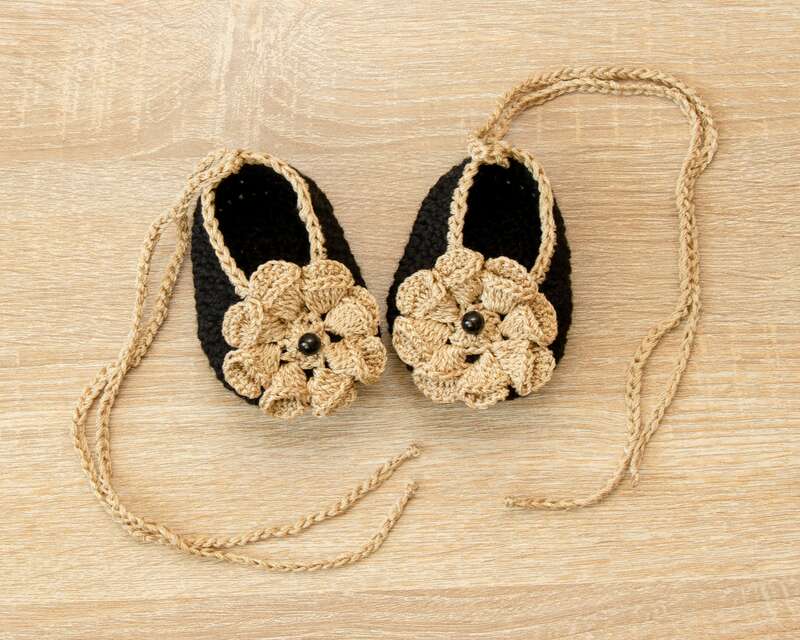 Black baby girl shoes with a matching headband embellished with gold flowers and pearl bead in the centre. 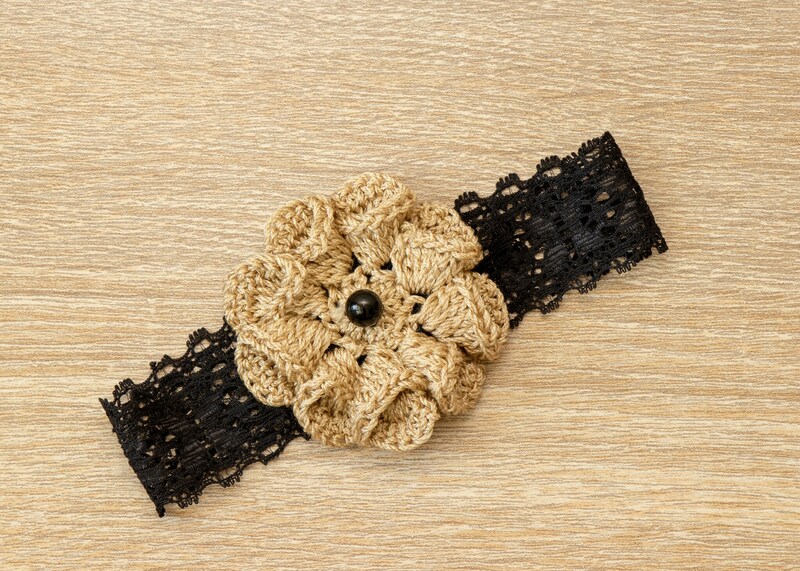 This adorable black and gold shoes and headband set are crocheted with soft acrylic yarn. 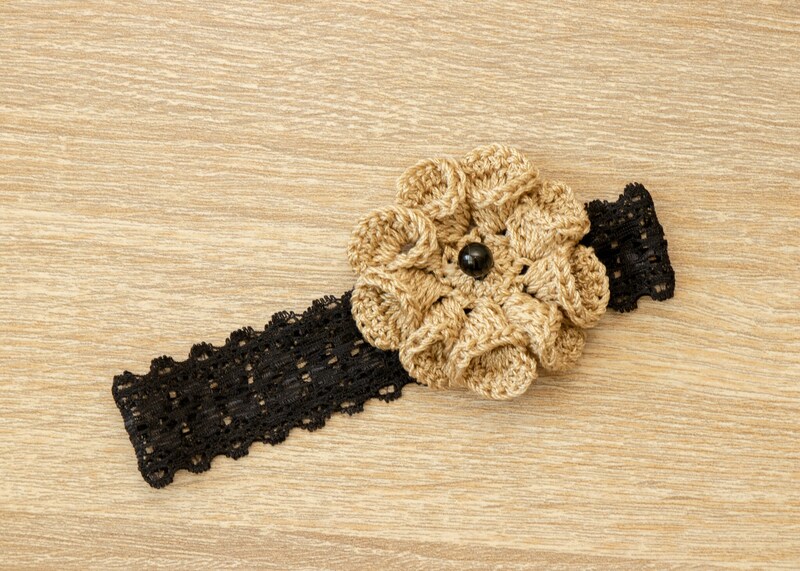 Perfect for photo shoots, as a gift, wedding, birthday and different occasions. 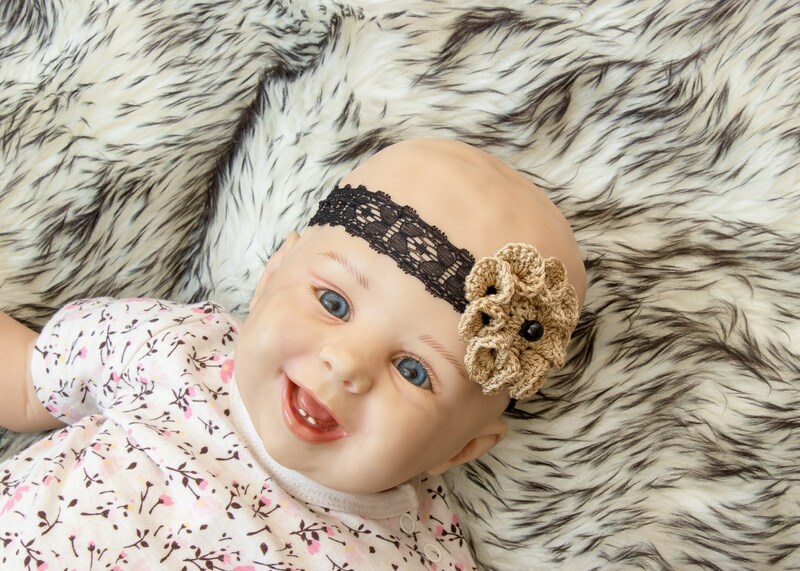 Shoes are two crocheted ties 9 inches (23 cm) long to secure on baby's feet.